OverviewHave you Frolfed today? Send frogs careening around bizarre courses littered with power-ups, danger, and distractions to rack up points or go for the elusive and high-scoring Frog-in-One! Now you can add videos, screenshots, or other images (cover scans, disc scans, etc.) 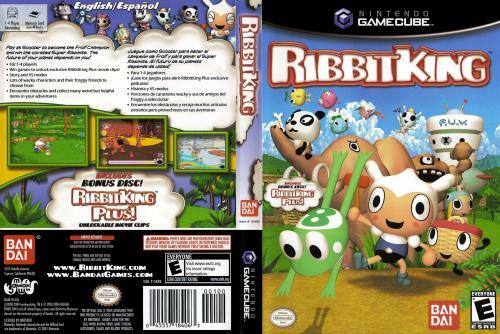 for Ribbit King to Emuparadise. Do it now!